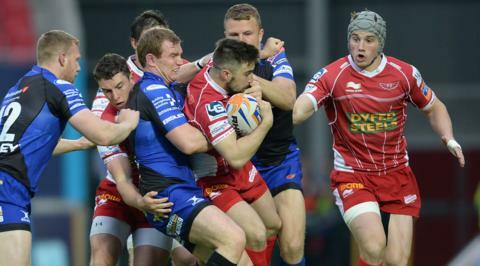 Scarlets scrum-half Gareth Davies races over for his try in the 34-23 Pro12 win over Newport Gwent Dragons at Parc y Scarlets. 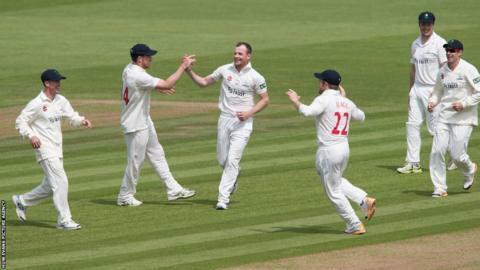 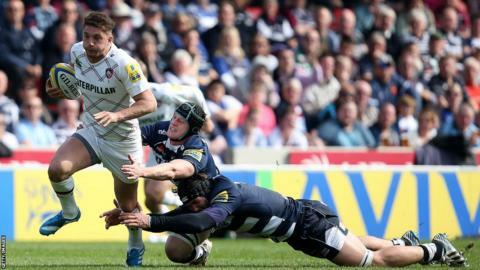 The win confirmed the West Wales region's place in the European Champions' Cup next season. 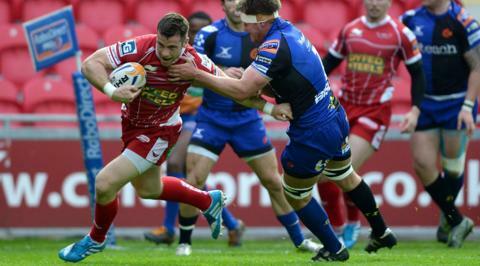 Jordan Williams runs into trouble from the Dragons defence in Scarlets' 34-23 win in the Pro12. 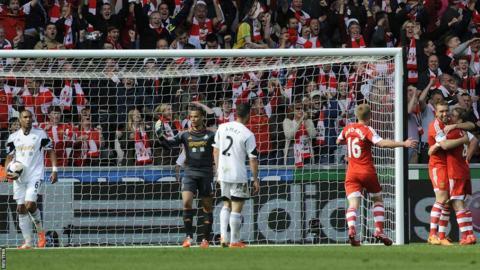 The champagne flies as the New Saints celebrate their stunning second half comeback to claim the Welsh Cup in a 3-2 victory over Aberystwyth at Wrexham's Racecourse Ground. 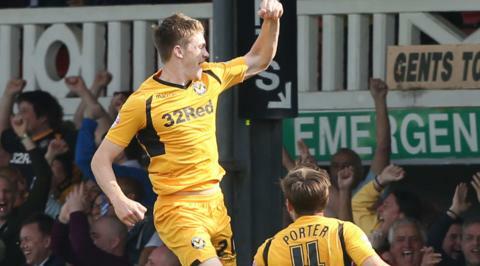 Kevin Feely jumps high to celebrate his late winning goal for Newport County against Rochdale at Rodney Parade. 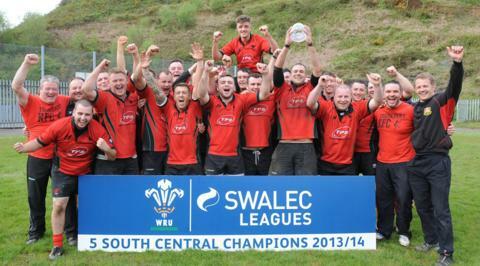 Treherbert rugby club are all smiles after clinching the Swalec League Division Five South Central championship against Ogmore Vale. 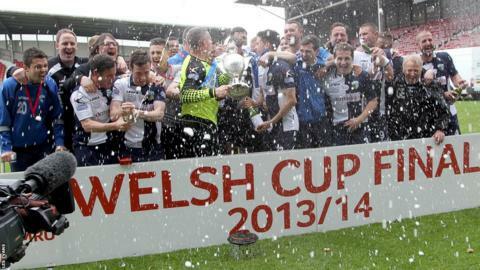 Pontypridd players celebrate following their 21-8 win over Cross Keys which secured the Swalec Cup at the Millennium Stadium. 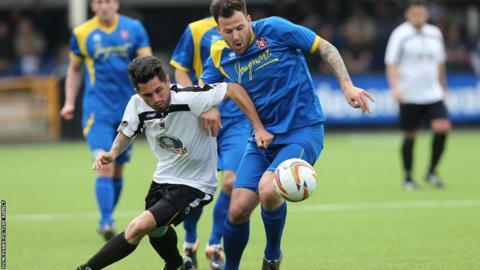 Ian Traylor battles for the ball with Paulton's Marcus Mapstone as Merthyr’s hopes of promotion to the Southern League Premier Division after a 2-0 defeat. 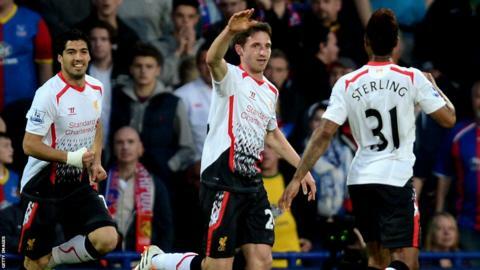 Wales midfielder Joe Allen celebrates after scoring for Liverpool in Monday’s Premier League game at Crystal Palace.